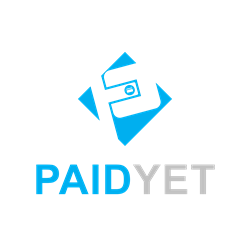 PaidYET, the El Segundo, CA, based company that provides custom payment links and paypages, has announced that they have completed a process by which anything can be turned into an online invoice with a one-click button for easy payment. The new feature is unique in that it allows anything to be turned into an online invoice with a payment button. The updates to the PaidYET platform include compatibility with enterprise invoicing systems such as Xero as well as free invoicing systems like GrizzlyQuote, and can convert any outdated collection system into online invoice platform. An invoice is easily created by attaching a pdf or image, including the amount due, and entering the cardholder’s email. Consumers can then view, download, and pay the invoice with one click. “We are really proud of the new capability we have built into the PaidYET platform” says CTO Tyler Leidholm. “It’s very unique in that not only can our clients’ paypages be integrated with existing invoicing systems, but now they can take a picture and send it as an online invoice with a payment button. This allows our clients to turn anything, even an IOU scratched on a napkin, into a real payment request. This is just another way that we have made it easy for our merchants to get paid in a fast and secure manner, and is especially helpful to those merchants that would previously get paid via paper means.” PaidYET has plans to release further enhancements in the near future, including a proactive expired card updater and a marketplace for third-party integrated apps. ABOUT PAIDYET: PaidYET is the first virtual point-of-sale (vPOS) system specifically built for Remote Transaction Merchants (RTM). PaidYET improves business processes by allowing for same day payments, and also alleviates Payment Card Industry (PCI) requirements, substitutes mobile dongles for sleek universal payment links (e.g. https://yourbiz.paidyet.com), and takes an innovative approach to eliminating paper. Each custom payment link can be sent to consumers via email or text or included on invoices and bills, and allows merchants to accept credit card and ACH payments remotely without the need to see or handle sensitive account information. All payment links and paypages are fully PCI compliant and allow consumers to make payments without ever sharing their credit card information with anyone, including the merchant. The PaidYET system offers both businesses and consumers full payment history reporting, as well as instant email and text receipts. In addition, the company’s Google-fueled eWallet, with patent pending one-click payments, means any user can setup a secure account without having to create a new username and password. It’s the fastest, simplest, and most secure way to get paid and to make a payment. Businesses that are interested in using PaidYET can visit http://www.paidyet.com, send an email to sales@paidyet.com, or call the company at (650) 549-4357.